The fried chicken gathering will take place across two days in May. Tickets to Auckland's first fried chicken celebration last July sold out in 19 minutes. The event at Parnell's La Cigale French market was so crammed that chicken lovers had to wait over an hour for a sniff of fried poultry. 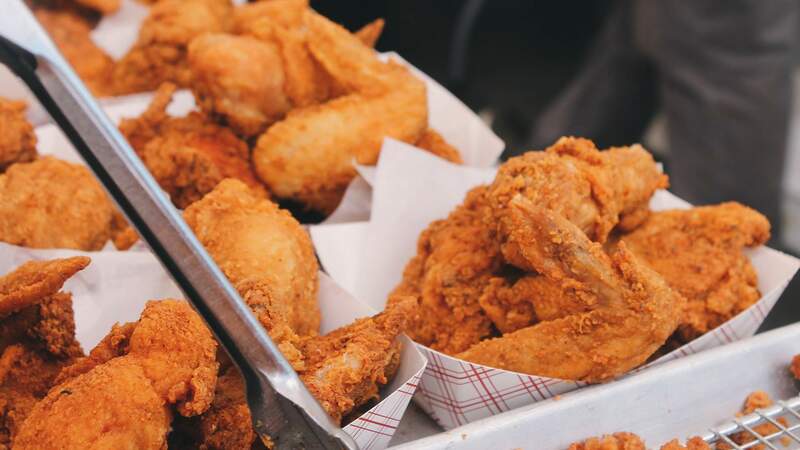 The Auckland Fried Chicken Festival is making its triumphant return on May 18—19, and this time organisers from the Auckland Food Truck Collective are promising a bigger, better and even more delicious event. To start, the venue has been upgraded to fit more vendors and provide you with more options to get your fried chicken fix. The festival will be held at Shed 10 on Queens Wharf. In an effort to cut down wait times and make crowds more manageable, the festival will be hosted over two days. Each day will have two sessions — a day and night option. Auckland's finest food trucks and chicken restaurants are coming together with chicken-inspired menus. Some will specialise in fried chicken while others will change up their menus to incorporate the theme of the night. Already signed to appear are: Peach's Hot Chicken, Temaki Truck, Judge Bao, Lalele Organic Gelato, Bacon Brothers, Mexico, Lowbrow and The Coop. Behemoth Brewing will be on hand to keep punters hydrated. Stay tuned for further vendor info. Tickets go on sale Monday, 8 April at 7pm from Eventfinda.